Clear rates for each map counting all difficulties. Only counts those who sortied at least once to the map. Is there a break down of clearance by difficulty level, specifically those who attempted hard on E7 and actually cleared on hard? @Forcyte Don't know yet. If they tweet it, I'll put it up. So the overall e7 passing rate for people that started e1 is around 77%. E7: casual, followed by hard. Those stats make sense. But I wonder if they bother dealing with the awards and how they should be distributed based on difficulty completion. Presumably they would have made the E4 reward better if they wanted people to do hard. As for the event itself, it just feels strange... people here and on Reddit seem to be slowly tiring of the game, and while there are newfaces (welcome!) it's also sad to see a lot of the names I used to see in 2015 be absent or not be around at all. I guess nwrtz said he was quitting, but I'm not sure if that was just momentary frustration. Considering how this time around I had very limited time, I'm surprised I got to clear on medium. Only ship I missed was Hamanami so I'm back to Kandex -1. Pretty good but as I have said before, these multi-phase gimmicks can take its toll on some people. 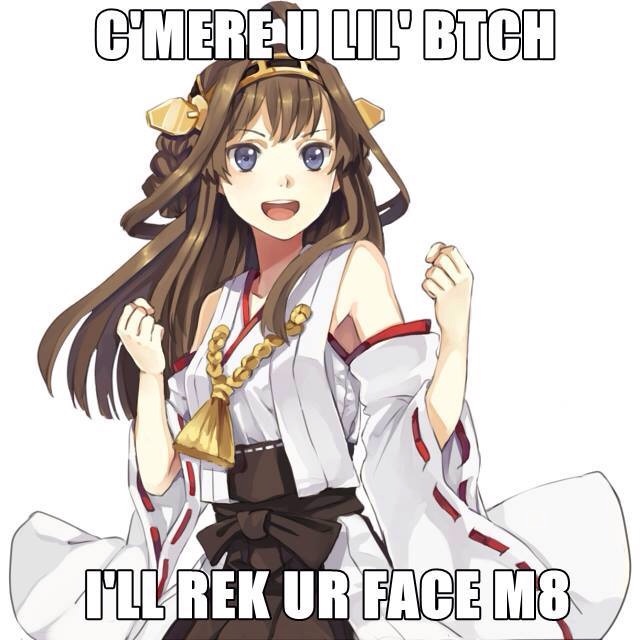 I'm just glad both Shigure and Yukikaze were able to deal massive CI damage in the end and I have seen a lot of botched CI attempts from other players. "Without love, without anger, without sorrow, breath is just a clock ticking"
I'm glad I managed to finish in the end, got all new girls and even an Iowa. Took a lot of time off during the middle of the event and well, my resources were pretty thin to begin with. E-7 was a battle, but well, I did most maps on easy so everything was workable. Wish I had more time/motivation to farm for other missing girls, mostly Katsuragi and/or Flat Agano, but they will appear again. Picked up a Bisko and a Saratoga dupe, are they worth keeping around? Ill probably get the guns off Bisko but Im not spending 3BP on a dupe I think, Sara might be worthwhile with her two forms? Not sure. Ill probably go the usual way - take it easy for a while, events always tire me out somewhat. I'm annoyed to be part of the 5% who didn't clear E7. Didn't even get to beat the new Water Oni. Trust me I know how you feel there, the lack of more then one flying boat completely stopped me at Water Demon's Last Dance, toss in nearly two weeks farming E-2 for another Akitsushima for nothing and I was ready to chew nails. The last few days at least improved when I fell back to E-6 and successfully farmed me both the Russian girls. I was moving most of the event, so i am happy i managed to get all the new girls, i only finished e-7 yesterday, with the minimum on runs and no farming on Casual. I didn't have enough time to fully enjoy it. Music was great though. The trend of locking new equipments behind Hard Difficulity last maps still annoys me but i gues thats how the game will be now. Got all the new girls!